Home solution for hair loss Does HR23+ Actually Stop Hair Loss? Does HR23+ Actually Stop Hair Loss? 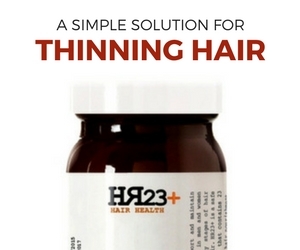 How effective is HR23+ for beating hair loss? Let's face it, when any new hair loss treatment enters the market, it's easy to be sceptical about it. Many hair loss treatment brands make obscene claims and promises that simply cannot be true. HR23+ does not in any way shape or form claim to be a miracle formula for hair loss. If you've lost your very last hair and the top of your head resembles the palm of your hand, then this, as well as any other hair supplement, won't magically regrow you a full head of hair. It would be somewhat foolish to believe that - and don't be surprised how many people live in hope. Hope can be a destructive emotion - and an expensive one at that! So what claims does HR23+ actually make? Well, as mentioned above, if you're completely bald then don't bother wasting your hard earned money on HR23+. Go and see a hair surgeon and get the appropriate advice needed for your dilemma. This supplement won't magically regrow all the hair you lost in your 20s, and HR23+ certainly won't provide you with a cheaper quick-fix solution for hair loss. This supplement acts as a hair health solution, providing your hair with essential additives and nutrients that can prevent hair loss and maintain strong, healthy hair growth in men and women that suffer from early stages of baldness and thinning hair. How do you know if this is the right formula for you? Look up the Norwood Scale and find out what stage your hair loss measures at. If you're suffering from Norwood stages 1-4 then HR23+ is definitely something that can work for you. If you measure at a more advanced Norwood stage 5+ then we advise you to look into other avenues. 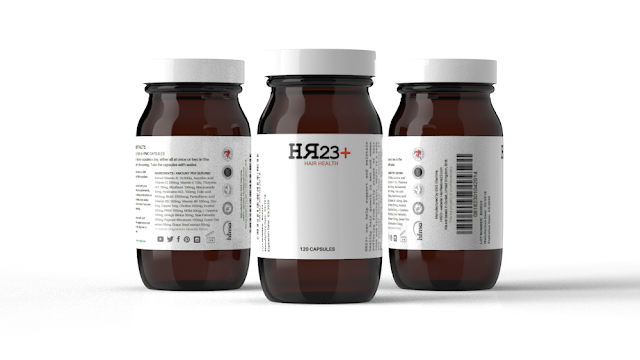 HR23+ contains key ingredients biotin and saw palmetto, mixed with 21 other essential anti-hair loss additives that can help slow down hair fall and even prevent baldness in its early stages. Some users of biotin and saw palmetto supplements have even reported to growing new hair where previously lost. The possibilities of how these ingredients work for each individual are endless. If you're worried about thinning hair and balding, then this is the best supplement to consider - the ingredients are effective and the early reviews are impressive.